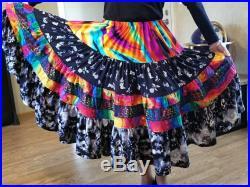 Stadium length spinning skirt with rainbows and dancing bears and intermittent black and white butterflies and flowers and black and white tie dye. A full spinner with lots of lift and life. 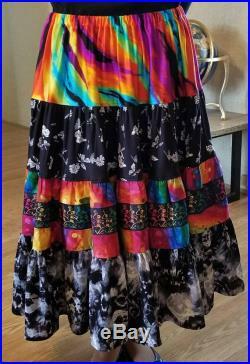 Can be sized women's 2 to 28 please note size when ordering.